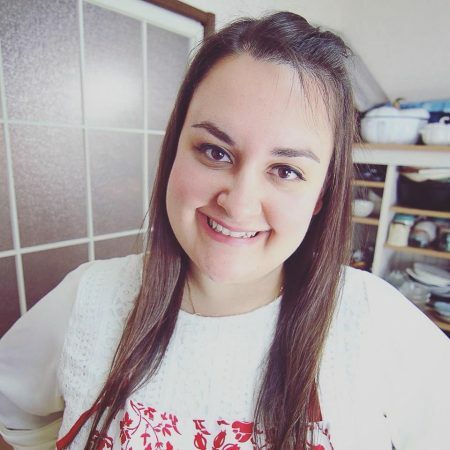 I’ve been living in Japan for about 2.5 years now and sometimes it can be really hard to stay on track with my diet as Japanese people have a pretty heavy carb diet. From cakes, donuts, ice cream, rice bowls, sushi, noodle places, every single restaurant or convenience store always sell high carb options and barely any low carb ones. 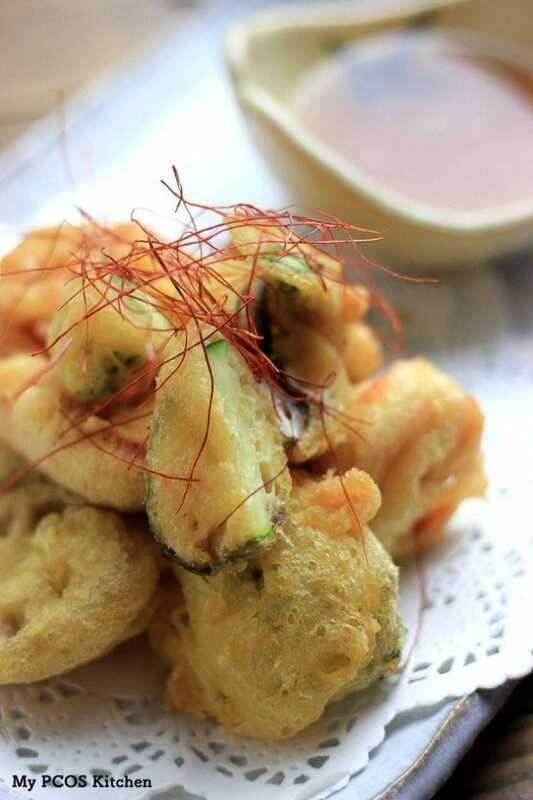 Living here, one of the things that I do miss eating is tempura. That perfect flaky crust over veggies, meat or fish goes so well with a simple broth or smothered in a spicy sauce. Luckily, Scott Swenson from the ‘She Calls me Hobbit’ website created a keto version using whey protein and eggs. However, he unfortunately decided to take a break from blogging and so his website is no longer available (hence no link). 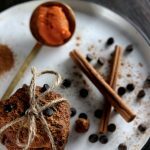 He did however create a third book on Amazon called ‘Ketofy Everything but the Kitchen Sink‘ with all of his recipes that were on his website so you can definitely check it out there. When I tried his tempura recipe, it really reminded me of those Chinese chicken balls that we get at the Chinese restaurant back in Canada. 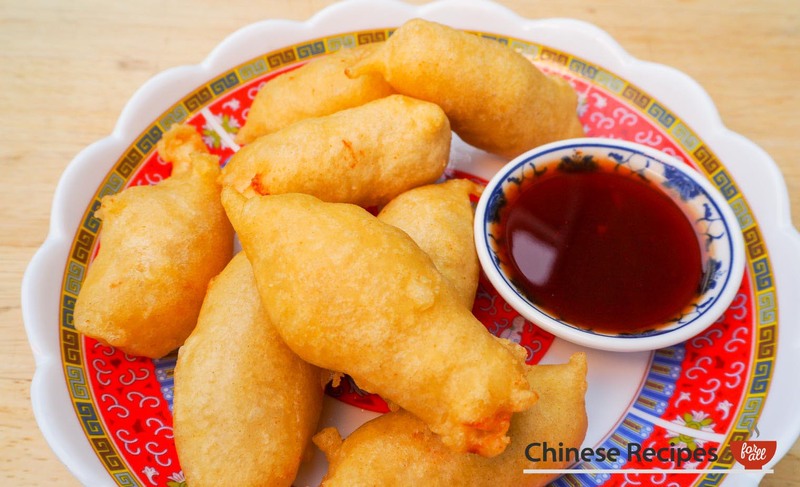 It has a pretty thick batter that surrounds the veggies or meat, and has a nice crispy crust. However for me, it wasn’t close enough to the real thing. 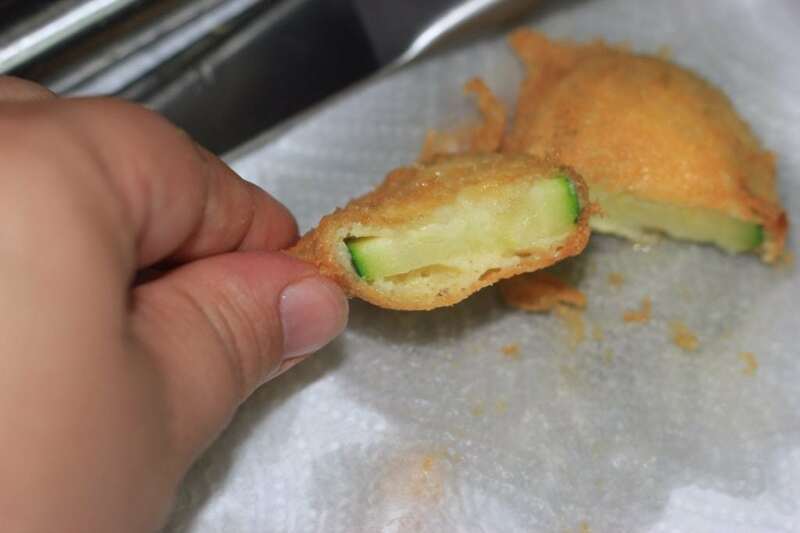 Japanese tempura tends to have a very light crust that covers the ingredients. It is never thick and doesn’t usually resembles those chicken balls, so I decided to experiment with his recipe and see if I could change anything so that it would make it more of a light crust like the real thing. 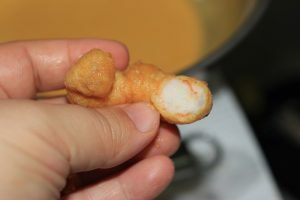 I was looking in my pantry to see what type of ingredients I had and started thinking about the real tempura batter that uses flour and sparkling water. I had whey protein isolate and oat fiber on hand, and those two ‘flours’ tend to be really close to real wheat flour when baking so I decided to give it a go with those two. I took Scott’s recipe and the first thing I tried was to make it with oat fiber instead. I also made some with a combination of oat fiber and whey protein, some with sparkling water and some with none. I tried four different combinations to see what type of results it would bring. I tried the different batters using shrimps because I felt like shrimp tempura. 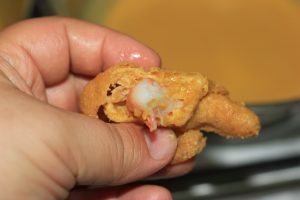 In the second picture above, the first two shrimps are made with whey protein and the other two with oat fiber. I tried each recipe with guar gum and xanthan gum and both are interchangeable. The first picture is Scott’s recipe, but I used guar gum instead of xanthan gum to see if it worked and it did. The third picture, I used the same recipe as Scott’s, but I changed the whey protein for oat fiber. As you can tell from the picture, it quickly fell apart. 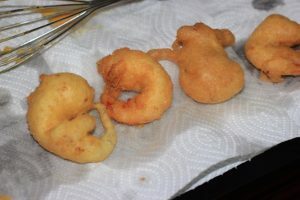 As for the fourth picture, a combination of both oat fiber and whey protein made the tempura really stable, but as far as taste goes, the oat fiber has a bit of a strong taste for my taste buds and so I didn’t like them very much so picture 3 and 4 were out of the question. The second picture was by far the best tasting one. 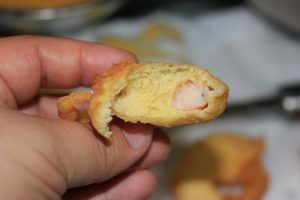 The batter wasn’t thick like the first picture, it carefully wrapped the shrimp with a light batter. 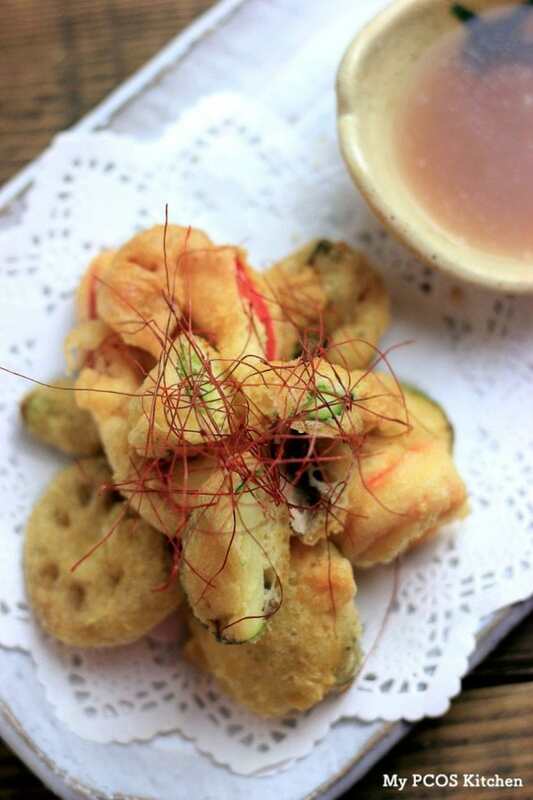 For me, that was the perfect tempura. I tried making the recipe with guar gum and xanthan gum, and both times worked exactly the same. In each recipe, I also added a bit of granulated dashi because we usually add it in tempura batter here. It gives the batter a nice flavour. I tried Scott’s recipe again with some veggie slices and it did the same thing. It was more of a Chinese deep fried chicken ball, rather than tempura. For me it was too much of a thick batter. 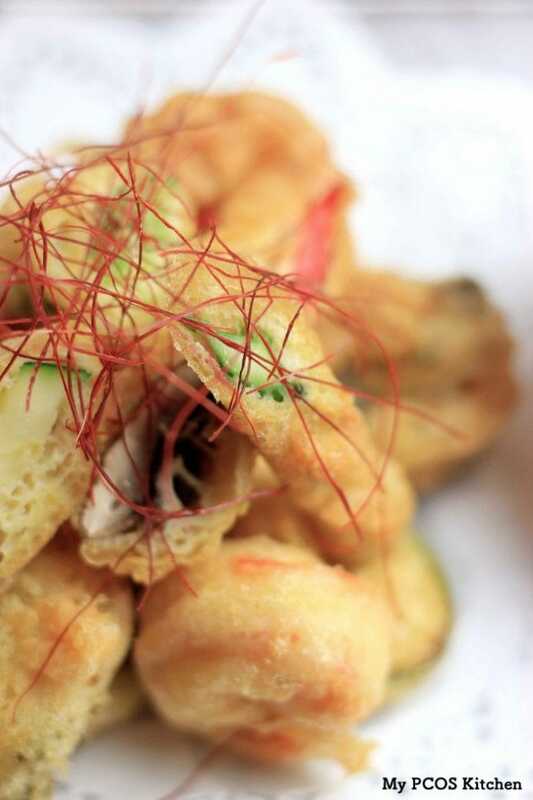 I really preferred the batter when it was light and flaky because it reminded me of real Tempura. Adding the sparkling water to the batter really did the trick. 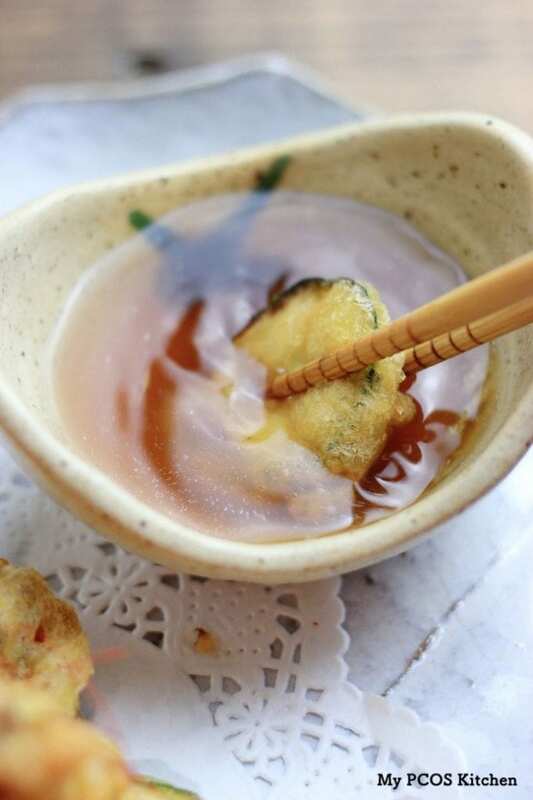 The tempura is also really good with a simple tsuyu, which is dashi broth with some coconut aminos in it (or soy sauce usually). You can also add a bit of stevia powder to the broth to make it sweet if you want. The batter itself just has 0.76g of carbs from the eggs, but the nutritional information I put here also includes the veggies and shrimp that I used. You won't need any flour for this recipe! Flaky and crispy just like the real deal! Slice and cut the veggies the way you want. Heat the oil between 160-170C or 320-340F. Add the tempura batter to a bowl and whisk vigorously for a good minute *important* this will ensure there are no more 'flour' bumps. The batter should be a light creamy yellow. 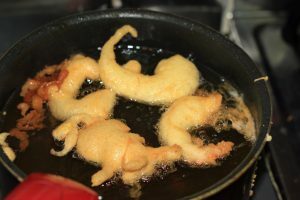 Dip your veggies and shrimps inside the batter, coat nicely and fry in the preheated oil on both sides until cooked through and the batter is golden brown. Transfer to a grill or some kitchen paper to absorb the excess oil. 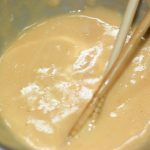 *If you let the batter sit for a while, make sure to whisk it back together for 20 seconds or so to ensure perfect consistency in you tempura every time. I recommend eating these the same day if you're just going to eat them as is or with some dipping sauce. However, if you coat the tempura in some sauce like sweet chili or anything like that, they'll be good in the fridge for a couple of days. Hi Milena, I tried with chicken once and it didn’t cook through. 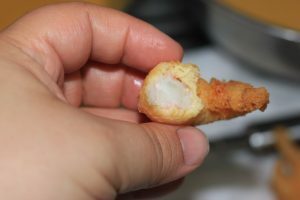 One way I found was to boil the chicken halfway first and then cover it in batter and then deep fry it until cooked through. Im having trouble with the batter sticking to fish. Any ideas? Hi Roxanne, you could try to pat the fish dry or add a little bit more almond flour to the batter. Make sure you add that xanthan/guar gum to make sure everything sticks! Is the dashi absolutely necessary? Is there a sub? Hi Michele, it says in the ingredients right beside dashi (or granulated chicken/beef). You can use any granulated stock, but if you don’t have it no worries. It’s just to add flavour. 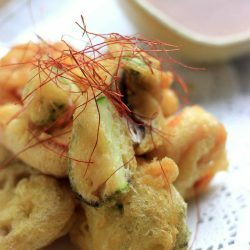 Just wondering if anyone has tried to make tempura flakes with the batter in this recipe. I recently gave up wheat and most grains after reading wheat belly which is basically eating low carb(no grains)/high fat. Haven’t tried that. But nutritional yeast makes a yummy ripper if you want the flakes for sushi. 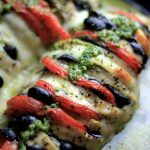 Has anyone tried this with an AIR FRYER? I don’t think it will work as the whey protein needs to be inside the oil to activate and bubble/crisp up. 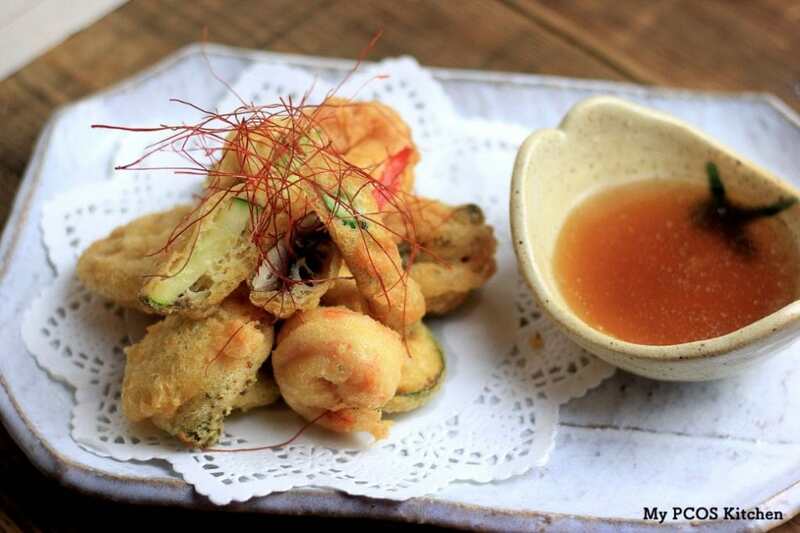 I used to love tempura so am so happy it’s back in my menu again. Thanks Mira! I’ve been craving fried pickles so I thought I’d try this recipe with pickles. It worked for a good alternative, obviously wasn’t the same but it will do!!! Thank you for the recipe!!! Awesome! I’ll have to try it too! awesome recipe..thank you so much for sharing it with everyone..!! 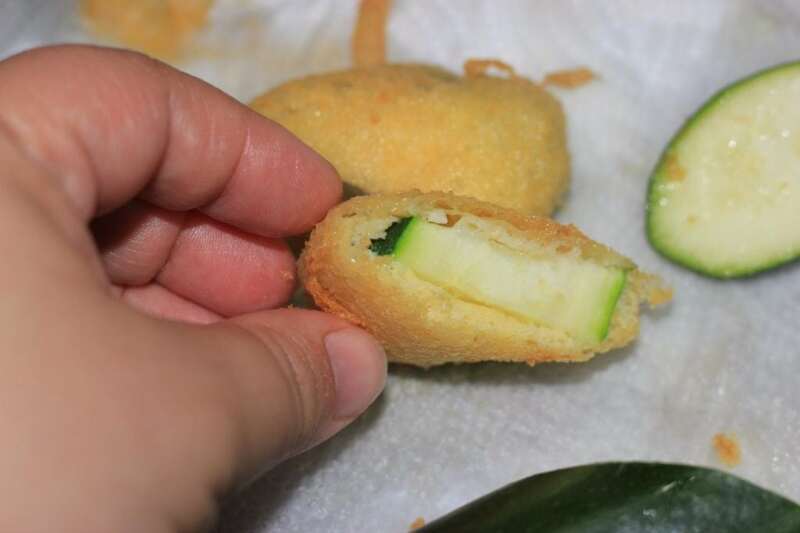 I fried some shrimp, avocado, and zucchini..Can’t wait to fry a batch of fish with this recipe..so delish..!! I am sorry to ask but what are the thread things on top? It’s just thinly sliced dried red peppers. Oh my goodness!! Where have you been all my keto life?? Thank you for this recipe!! Haha you’re welcome!! I made some shrimp tempura the other day. Sooo good! Will this work with Whey Protein Concentrate (not Isolate)? I wish there was a dairy free option other than oat fiber. I’m DF and can’t have whey. Thanks for sharing your results! Sorry! I haven’t found a way for it to be dairy-free yet! The oat fiber works though if you want to try it. This looks amazing! Can’t wait to try making it this weekend. I was wondering you if you have had takoyaki and okonomiyaki, since you live in Japan. 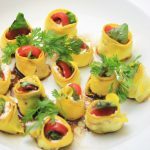 Any idea how to make low carb versions of them? We usually make them with soy flour since it’s low carb here in Japan, but in the West, soy flour is a big no no… I did try with coconut flour once and it was absolutely disgusting so I wouldn’t recommend it!! But there are also versions with just eggs. I should make a recipe and upload it so you can make some 🙂 I’ll think of a soy-free version for this blog. Out of curiosity, do you recall how much oat fibre you used in your protein powder / oat fibre combination attempt? Some oat fibres have a really strong flavour, and others don’t, so I’m considering experimenting with both together to see if I can get it to not taste “oat”-y. one try was with 1 tbsp oat fiber, 1 tbsp protein, 1 egg, 1/2 tsp baking powder, 1/4 tsp satl, baking soda and xanthan gum. The other try was 2 tbsp protein, 1 tbsp oat fiber, 1 tbsp carbonated water, 1 egg, 1/2 tsp baking soday, salt, xanthan gum. This is amazing, can’t wait to try this and the fried chicken recipe! Can you use other types of oil? You can use any type of oil you want. Can I use Chicken Bone Broth Powder Protein in the tampora??? I’ve never tried that so can’t really help you. Sorry.